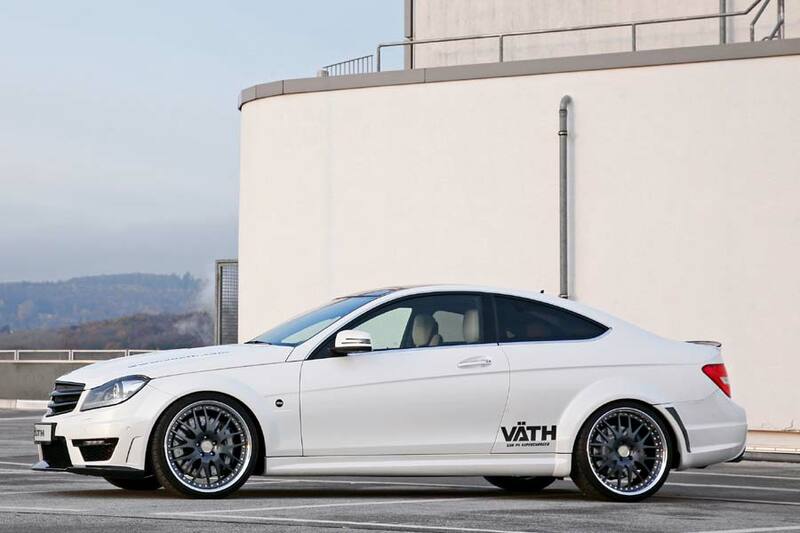 Hösbach-based Mercedes-Benz tuning specialist Vaeth has created a rival to the awesome C 63 AMG Coupé Black Series by adding its supercharger kit to the regular AMG model. 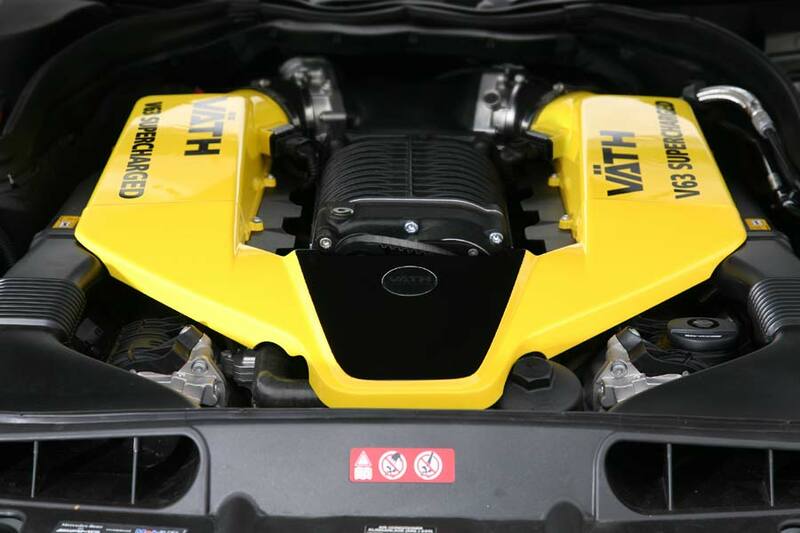 The V63 Supercharged Tuning Kit, which also includes a remapped ECU and intercooler, makes all the difference to the car’s 6.2 L V8, taking output from 336 kW (457 hp) and 601 Nm (443 lb-ft) to 500 kW (680 hp) and 840 Nm (620 lb-ft). 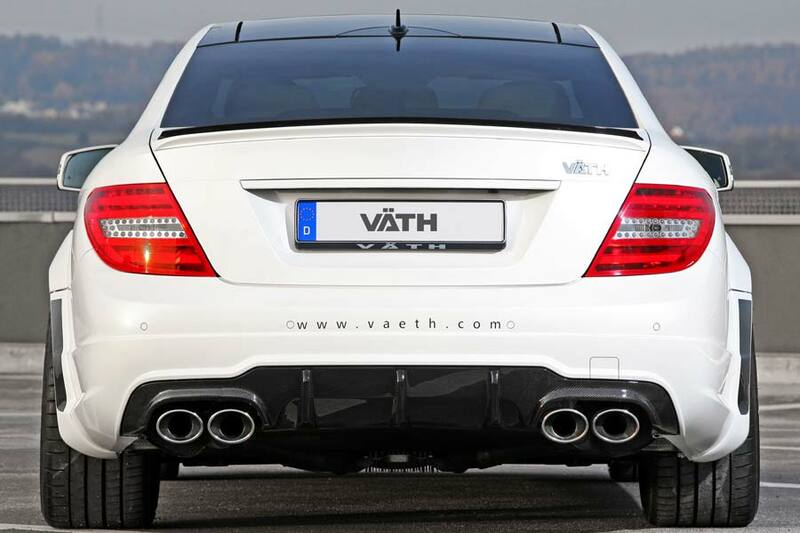 Vaeth also fits a complete stainless steel exhaust system, including manifolds, high-flow cats and adjustable control valve. 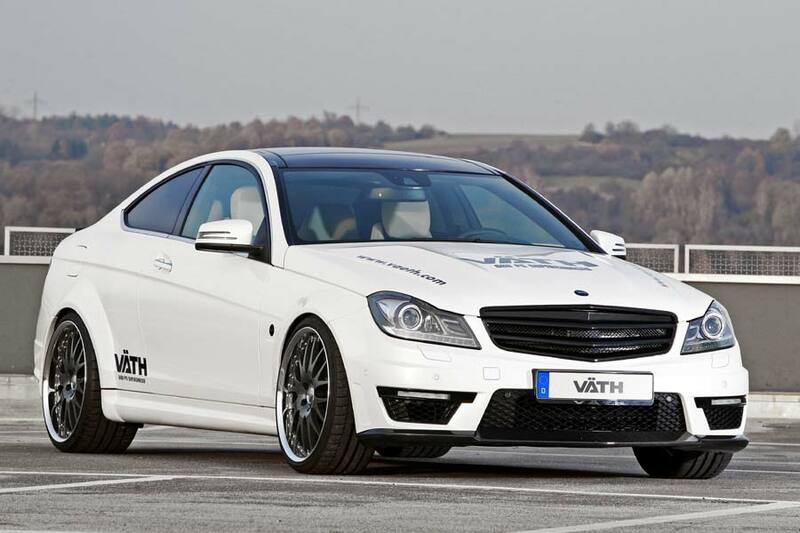 Those tweaks result in a 0-100 km/h time of just 4 seconds (down from 4.4 s) and a colossal 335 km/h (208 mph) top speed. 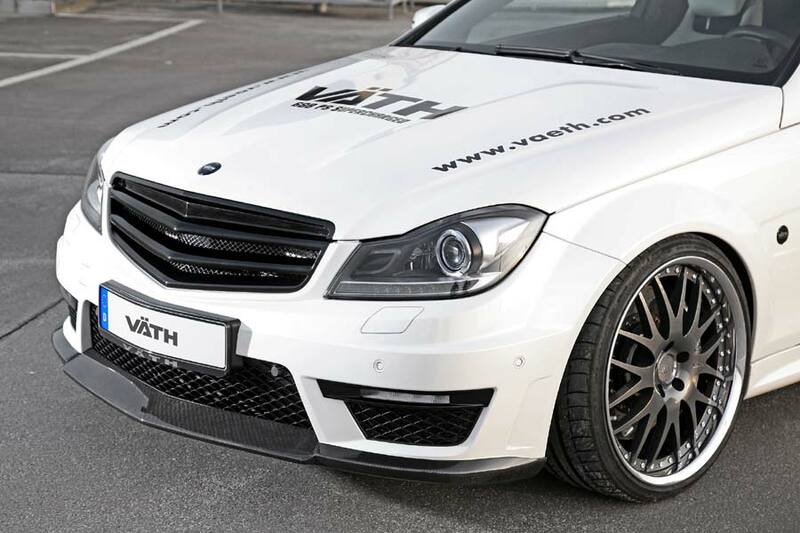 Sensibly, Vaeth provides a brake upgrade kit which consists of 380 mm front discs, stainless steel brake lines and Castrol SRF racing brake fluid. There are also oil cooling and transmission cooling systems, while the limited slip differential is a must-have addition. 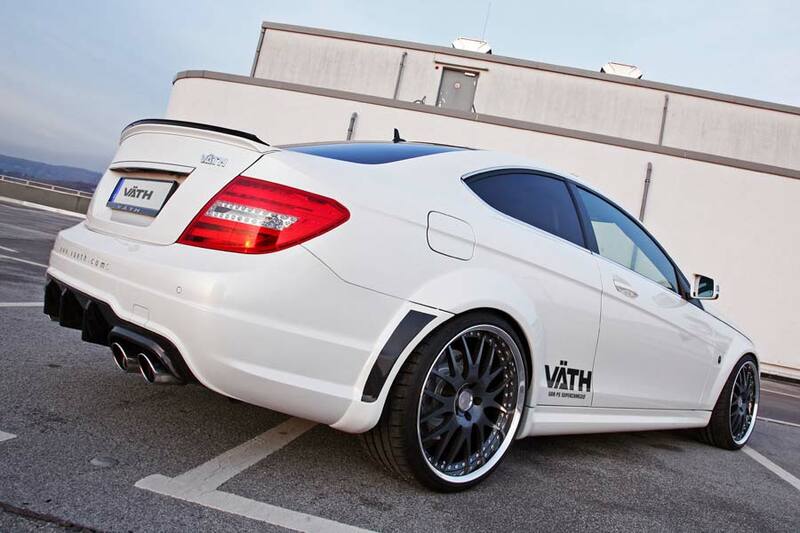 Visually, Vaeth adds its badgeless radiator grille, while the rest of the add-ons, which are constructed from carbon fibre, include a front spoiler, replacement hood, rear bootlid lip, diffuser and wider rear arch extensions. 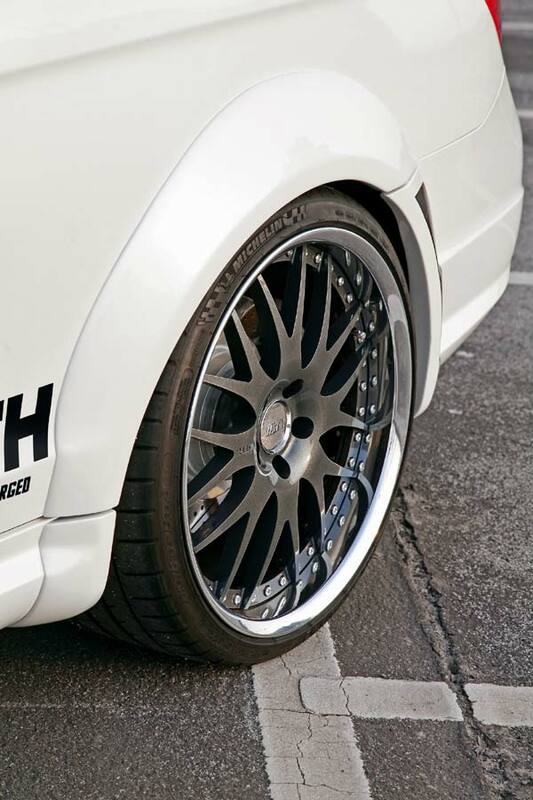 These add 80 mm to the Coupé’s track and allow the fitment of those spaced-out three-piece forged rims which measure 11 x 20-inch on the back and 9 x 20-inch on the front. The adjustable Clubsport coilover suspension kit offers a drop of between 20 mm and 65 mm. Moving inside, there are carbon fibre trim elements, a leather steering wheel, aluminium pedals, velour floor mats, and 360 km/h speedometer dial. 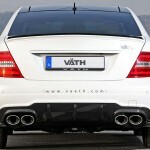 The complete conversion will set you back € 64,308.